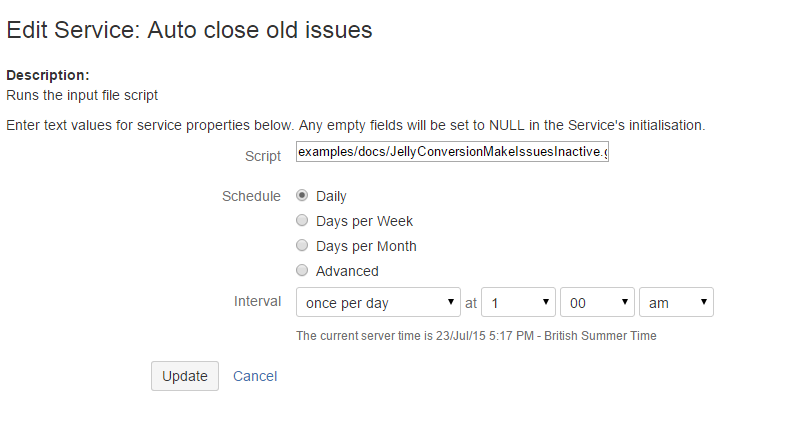 There are some sample scripts that can be used as services in the jelly migration guide. Go to Admin → Services. 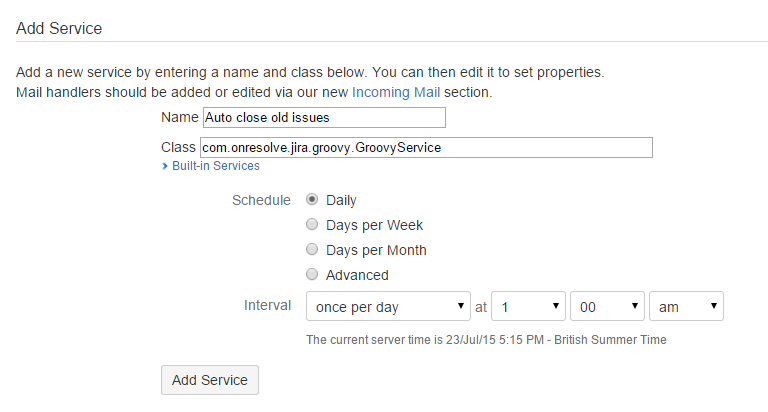 Add a new service with class: com.onresolve.jira.groovy.GroovyService. Set the name to something descriptive. Finally, set the schedule and click Add Service.